Confucianism, a religion of optimistic humanism, has had a monumental impact upon the life, social structure and political philosophy of China. The founding of the religion goes back to one man, known as Confucius, born a half-millennium before Christ. Although Confucius occupies a hallowed place in Chinese tradition, little is verifiable about his life. The best source available is The Analects, the collection of his sayings made by his followers. Long after his death much biographical detail on his life surfaced, but most of this material is of questionable historical value. However, there are some basic facts that can be accepted reasonably to give an outline of his life. Confucius was born Chiu King, the youngest of 11 children, about 550 B.C., in the principality of Lu, which is located in present-day Shantung. He was a contemporary of the Buddha (although they probably never met) and lived immediately before Socrates and Plato. Nothing is known for certain concerning his ancestors except the fact that his surroundings were humble. As he himself revealed: "When I was young I was without rank and in humble circumstances." His father died soon after his birth, leaving his upbringing to his mother. During his youth Confucius participated in a variety of activities, including hunting and fishing; but, "On reaching the age of 15, 1 bent my mind to learning." He held a minor government post as a collector of taxes before he reached the age of 20. It was at this time that Confucius married. However, his marriage was short-lived, ending in divorce; but he did produce a son and a daughter from his unsuccessful marriage. He became a teacher in his early twenties, and that proved to be his calling in life. His ability Is a teacher became apparent and his fame spread rapidly, attracting a strong core of disciples. Many were attracted by his wisdom. He believed that society would not be changed unless he occupied a public office where he could put his theories into practice. Confucius held minor posts until age 50, when he became a high official in Lu. His moral reforms achieved an immediate success, but he soon had a falling out with his superiors and subsequently resigned his post. Confucius spent the next 13 years wandering from state to state, attempting to implement his political and social reforms. He devoted the last five years of his life to writing and editing what have become Confucian classics. He died in Ch�fou, Shantung, in 479 B.C., having established himself as the most important teacher in Chinese culture. His disciples referred to him as King Fu-tzu or Kung the Master, which has been latinized into Confucius. By Confucius' day, however, the interminable warfare had degenerated a long way from this code of chivalrous honor toward the undiluted horror of the Period of the Warring States. The horror reached its height in the century following Confucius' death. The chariot, arm of the tournament, gave way to the cavalry with its surprise attacks and sudden raids. Instead of nobly holding their prisoners for ransom, conquerors put them to death in mass executions. Soldiers were paid upon presenting the severed heads of their enemies. Whole populations unlucky enough to be captured were beheaded, including women, children, and the aged. We read of mass slaughters of 60,000, 80,000, 82,000, and even 400,000. There are accounts of the conquered being thrown into boiling caldrons and their relatives forced to drink the human soup (Huston Smith, The Religions of Man, New York: Harper and Row, 1965, p. 166). It is easy to see how the need arose for someone like Confucius to provide answers for how the people could live together harmoniously. Although the conduct of Chinese officials was exceedingly corrupt, Confucius believed the situation was not hopeless, for the general population had not reached the point of total corruption. Confucius believed China could be saved if the people would seek for the good of others, a practice of their ancestors. The role Confucius would play was not as a savior or messiah but as one who would put the people back in touch with the ancients: "I transmit but do not create. I believe in and love the ancients. I venture to compare myself to our old Peng (an ancient official who liked to tell stories)." 195 The Emperor of China offered animal sacrifice at the tomb of Confucius. 1 He was given the imperial title "Duke Ni, All- complete and Illustrious." 57 Regular sacrifice to Confucius was ordered at the imperial and provincial colleges. 89 He was raised to the higher imperial rank of "Earl"
267 More elaborate animal sacrifices to Confucius were decreed four times yearly. 492 He was canonized as "The Venerable, the Accomplished Sage." 555 Separate temples for the worship of Confucius were ordered at the capital of every prefecture in China. 740 The statue of Confucius was moved from the side to the center of the Imperial College, to stand with the historic kings of China. 1068-1086 Confucius was raised to the full rank of Emperor. 1906 December 31. An Imperial Rescript raised him to the rank of Co-assessor with the deities Heaven and Earth. One of the central figures in Confucianism is Meng-tzu (Latinized into Mencius) who became second only to Confucius in the history of Confucian thought. Mencius ' born in the state of CWi in 371 B.C., studied with a disciple of Confucius' grandson, Tzu-Ssu. Like his master, Mencius spent most of his life traveling from state to state, seeking those in leadership who would adopt the teachings of Confucius. The feudal order in China had become worse than in the days of Confucius, and the attempts of Mencius to reverse this trend were of no avail. Mencius, rejected by the politicians of his day, turned to teaching and developing Confucian thought. Among his accomplishments was the clarification of a question that Confucius left ambiguous: the basic nature of man. Mencius taught that man is basically good. This is still a basic presupposition of Confucian thought. In his classic example, Mencius compared the potentiality of the goodness of man to the natural flow of water. Though water naturally flows downward, it can be made to flow uphill or splashed above one's head, but only as a result of external force. Likewise man's nature is basically good but can be forced into bad ways through external pressure. This teaching, which is diametrically opposed to the biblical doctrine of original and universal sin, has made the proclamation of the Gospel that much more difficult among the people in China who accept the ideas of Mencius concerning the nature of man. There are reports, perhaps untrue, that Confucius met with Lao-tzu (var. sp. : Lao-tze), the founder of Taoism. Confucius had heard about the old archivist with strange philosophical beliefs and decided to investigate. The meeting was anything but amiable, however. Confucius, still a young man, had become famous because of his teachings and wisdom, and Lao-tzu was annoyed with him. Confucius had prepared a number of questions he wished to ask of Lao-tze concerning his doctrines. But before he could even begin on the topic, Lao-tze questioned Confucius about his interests. Confucius replied that he was interested in the history of the Ancients, especially as recorded in The Book of Annals (Shu King). "The men of whom you speak are long since dead and their bones are turned to ashes in their graves!' Lao-tze interrupted Their talk continued, with Lao-tze asking the questions and Confucius answering them deferentially and politely. It was his belief, Confucius explained, that man is by nature good, and that knowledge can keep him good. "But why study the Ancients?" Lao-tze asked impatiently. Confucius tried to explain his belief that new knowledge must be based upon old knowledge. Lao-tze interrupted him, saying: "Put away your polite airs and your vain display of fine robes. The wise man does not display his treasure to those he does not know. And he cannot learn justice from the Ancients!' "Why not?" asked Confucius. "It is not bathing that makes the pigeon white," was Lao-tze's reply. And he abruptly ended the interview (Joseph Gaer, What the Great Religions Believe, New York: Dodd, Mead, and Company, 1963, p. 76). Whether or not this meeting occurred, the account amply illustrates the difference between the two men and the religions which proceeded from them. During his teaching career Confucius collected ancient manuscripts which he edited and on which he wrote commentaries. He arranged these manuscripts into four books to which he also added a fifth book of his own. These works are known as the Five Classics. 1. The Book of Changes (I Ching) The I Ching is a collection of eight triagrams and 64 hexagrams which consist solely of broken and unbroken lines. These lines were supposed to have great meaning if the key were discovered. 2. The Book of Annals (Shu King) This is a work of the history of the five preceding dynasties. The example of the ancients was crucial to Confucius' understanding of how the superior man should behave. 3. The Book of Poetry (Shih Ching) The book of ancient poetry was assembled by Confucius because he believed the reading of poetry would aid in making a man virtuous. 4. The Book of Ceremonies (Li Chi) This work taught the superior man to act in the right or traditional way. Again Confucius stressed doing things in the same way as the ancients. 5. The Annals of Spring and Autumn (Chun Chiu) This book, supposedly written by Confucius, gave a commentary on the events of the state of Lu at Confucius' time. 1. The Analects. This is the most important source we have on Confucius. The Analects are sayings of both Confucius and his disciples. 2. The Great Learning. This work which deals with the education and training of a gentleman comes not from the hand of Confucius but rather from a later period (about 250 B.C.). 3. The Doctrine of the Mean. This work deals with the relationship of human nature to the order of the universe. Authorship is uncertain (part of it may be attributed to Confucius' grandson Tzu-Ssu), but it does not come from Confucius. 4. The Book of Mencius. Mencius wrote the first exposition of Confucian thought about 300 B.C. by collecting earlier teachings and attempting to put them down systematically. This work, which has had great influence and gives an idealistic view of life, stresses the goodness of human nature. A common feature of Chinese religion prevalent at Confucius' time was the veneration of ancestors. Ancestor worship is the veneration of the spirits of the dead by their living relatives. Supposedly the continued existence of the ancestors in spirit is dependent upon the attention given them by their living relatives. It is also believed that the ancestors can control the fortunes of their families. If the family provides for the ancestors' needs, then the ancestors will in turn cause good things to happen to their relatives. However, if the ancestors are neglected, it is believed that all sorts of evil can fall upon the living. Consequently, the living sometimes live in fear of the dead. The veneration of ancestors by royal families and common people alike reveals several reasons for ancestor worship. People wanted their ancestors to be able to live beyond the grave in a manner similar to their life-style on earth; hence the living attempted to provide whatever would be necessary. A secondary motive lurks in the background: if not provided with the food and weapons and utensils needed to survive in the life beyond, those ancestors might return as ghosts and cause trouble for the living. To this day people celebrate a Festival of the Hungry Ghosts, placing food and wine in front of their homes to satisfy those ancestral spirits or ghosts whose descendants have not cared for them and who therefore may wander back to old haunts. A third motive is to inform the ancestors of what is going on at the present time, hopefully in such a way that the ancestral spirits may be assured that all is well and therefore may rest in peace. Finally, ancestor worship expresses the hope that ancestors will bless the living with children, prosperity, and harmony, and all that is most worthwhile (Richard C. Bush, The Story of Religion in China, Niles, IL: Argus Communications, 1977, p. 2). A concept that was entrenched in China long before the time of Confucius is that of filial piety (Hsaio) which can be described as devotion and obedience by the younger members of the family to the elders. This was particularly the case of son to father. This loyalty and devotion to the family was the top priority in Chinese life. Such duty to the family, particularly devotion to the elders, was continued throughout one's life. This was expressed in The Classic of Filial Piety: "The services of love and reverence to parents when alive, and those of grief and sorrow to them when dead -these completely discharge the fundamental duty of living men" (Max Mueller, ed., Sacred Books of the East, Krishna Press, 1879-1910, Vol. III, p. 448). The master said, "A young man should be a good son at home and an obedient young man abroad, sparing of speech but trustworthy in what he says, and should love the multitude at large but cultivate the friendship of his fellow men" (1:6). Meng Wu Po asked about being filial. The master said, "Give your father and mother no other cause for anxiety than illness" (11:6). Tzu-yu asked about being filial. The master said, "Nowadays for a man to be filial means no more than that he is able to provide his parents with food. Even hounds and horses are in some way provided with food. If a man shows no reverence, where is the difference?" (II:2). Confucianisns doctrines can be summarized by six key terms or ways. Jen is the golden rule; Chun-tzu the gentleman; Cheng-ming is the roleplayer; Te is virtuous power; Li is the standard of conduct; and Wen encompasses the arts of peace. A brief discussion of the six principles reveals the basic doctrinal structure of Confucianism. 1. Jen. Jen has the idea of humaneness, goodness, benevolence or man-to-manness. Jen is the golden rule, the rule of reciprocity; that is to say, do not do anything to others that you would not have them do to you. "Tzu-Kung asked, 'Is there a single word which can be a guide to conduct throughout one's life?' The master said, 'It is perhaps the word "Shu." Do not impose on others what you yourself do not desire"' (Confucius, The Analects, XV:24). This is the highest virtue according to the Confucian way of life; if this principle could be put into practice, then mankind would achieve peace and harmony. 2. Chun-tzu. Chun-tzu can be translated variously as the gentleman, true manhood, the superior man, and man-at-his-best. The teachings of Confucius were aimed toward the gentleman, the man of virtue. Huston Smith observes, "If Jen is the ideal relationship between human beings, Chun-tzu refers to the ideal term of such relations" (Smith, op. cit., p. 180). Confucius had this to say about the gentleman: (Confucius:) He who in this world can practice five things may indeed be considered man-at-his-best. Humility, magnanimity, sincerity, diligence, and graciousness. If you are humble, you will not be laughed at. If you are magnanimous, you will attract many to your side. If you are sincere, people will trust you. If you are gracious, you will get along well with your subordinates (James R. Ware, trans., The Sayings of Confucius, New York: New American Library 1955, p. 110). It is this type of man who can transform society into the peaceful state it was meant to be. 3. Cheng-ming. Another important concept according to Confucius was Cheng-ming, or the rectification of names. For a society to be properly ordered, Confucius believed everyone must act his proper part. Consequently, a king should act like a king, a gentleman like a gentleman, etc. Confucius said, "Duke Ching of Ch'i asked Confucius about government. Confucius answered, 'Let the ruler be a ruler, the subject a subject, the father a father, the son a son. . . ." (The Analects, XII:11). He said elsewhere, "Tzu-lu said, 'If the Lord of Wei left the administration (cheng) of his state to you, what would you put first? 'The master said, 'If something has to be put first, it is perhaps the rectification of names'" (The Analects, XIII:3). 4. Te. The word te literally means "power," but the concept has a far wider meaning. The power needed to rule, according to Confucius, consists of more than mere physical might. It is necessary that the leaders be men of virtue who can inspire their subjects to obedience through example. This concept had been lost during Confucius' time with the prevailing attitude being that physical might was the only proper way to order a society. Confucius looked back at history to the sages of the past, Yao and Shun, along with the founders of the Chou dynasty, as examples of such virtuous rule. If the rulers would follow the example of the past, then the people would rally around the virtuous example. Duke Ai asked Confucius, "What is this great li? Why is it that you talk about li as though it were such an important thing?" Confucius replied, "Your humble servant is really not worthy to understand Ii." "But you constantly speak about it," said Duke Ai. Confucius: "What I have learned is this, that of all the things that people live by, li is the greatest. Without li, we do not know how to conduct a proper worship of the spirits of the universe; or how to establish the proper status of the king and the ministers, the ruler and the ruled, and the elders and the juniors; or how to establish the moral relationships between the sexes; between parents and children, and between brothers; or how to distinguish the different degrees of relationships in the family. That is why a gentleman holds li in such high regard" (Lin Yutang, The Wisdom of Confucius, New York: Random House, 1938, Li Chi XXVII, p. 216). 6. Wen. The concept of Wen refers to the arts of peace, which Confucius held in high esteem. These include music, poetry and art. Confucius felt that these arts of peace, which came from the earlier Chou period, were symbols of virtue that should be manifest throughout society. The master said, "Surely when one says, 'The rites, the rites,' it is not enough merely to mean presents of jade and silk. Surely when one says 'music, music,' it is not enough merely to mean bells and drums...." The master said, "What can a man do with the rites who is not benevolent? What can a man do with music who is not benevolent?" (The Analects, XVII:11, III:3). Therefore, he who rejected the arts of peace was rejecting the virtuous ways of man and heaven. Men of superior minds busy themselves first getting at the root of things; when they succeed, the right course is open to them. One excellent way to practice the rules of propriety is to be natural. When truth and right go hand in hand, a statement will bear repetition. Sorrow not because men do not know you; but sorrow that you do not know men. If you observe what people take into their hands, observe the motives, note what gives them satisfaction; then will they be able to conceal from you what they are? When you know a thing, maintain you know it; when you do not, acknowledge it. This is the characteristic of knowledge. Let the leader of men promote those who have ability, and instruct those who have it not, and they will be willing to be led. To see what is right and not to do it, that is cowardice. The superior man is not contentious. He contends only as in competitions of archery; and when he wins he will present his cup to his competitor. A man without charity in his heart, what has he to do with ceremonies? A man without charity in his heart, what has he to do with music? He who has sinned against Heaven has none other to whom his prayer may be addressed. Tell me is there anyone who is able for one whole day to apply the energy of his mind to virtue? It may be that there are such, but I have never met with one. If we may learn what is right in the morning, we should be content to die in the evening. The scholar who is intent upon learning the truth, yet is ashamed of his poor clothes and food, is not worthy to be discoursed with. The superior man thinks of his character; the inferior man thinks of his position; the former thinks of the penalties for error, and the latter, of favors. One should not be greatly concerned at not being in office, but rather about the requirements in one's self for that office. Nor should one be greatly concerned at being unknown, but rather with being worthy to be known. The superior man seeks what is right, the inferior one what is profitable. The superior man is slow to promise, prompt to fulfill. Virtue dwells not in solitude; she must have neighbors. In my first dealings with a man, I listen to his avowals and trust his conduct; after that I listen to his avowals and watch his conduct. These are the four essential qualities of the superior man: he is humble, he is deferential to superiors, he is generously kind, and he is always just. Those who are willing to forget old grievances will gradually do away with resentment. I have not yet seen the man who can see his errors so as in a day to accuse himself. Where plain naturalness is more in evidence than fine manners, we have the country man; where fine manners are more in evidence than plain naturalness, we have the townsman; where the two are equally blended we have the ideal man. To prize the effort above the prize, that is virtue. What you find in me is a quiet brooder and memorizer, a student never satiated with learning, an unwearied monitor to others. These things weigh heavily upon my mind: failure to improve in the virtues, failure in discussion of what is learned, inability to walk always according to the knowledge of what is right and just, inability to reform what has been amiss. Fix your mind on truth; hold firm to virtue; rely upon loving-kindness; and find your recreation in the arts. With coarse food to eat, water to drink, and a bent arm for a pillow, happiness may still be found. Let there be three men walking together, and in them I will be sure to find my instructors. For what is good in them I will follow; and what is not good I will try to modify. Sift out the good from the many things you hear, and follow them; sift out the good from the many things you see and remember them. Without a sense of proportion, courtesy becomes oppressive; calmness becomes bashfulness; valor becomes disorderliness; and candor becomes rudeness. Even if a person were adorned with the gift of the Duke of Chau, if he is proud and avaricious, all his other qualities are not really worth looking at. Learn as if you could never overtake your subject, yet as if apprehensive of losing it. When you have erred, be not afraid to correct yourself. It is easier to carry off the chief commander of an army than to rob one poor fellow of his will. We know so little about life, how can we then know about death? If a man can subdue his selfishness for one full day, everyone will call him good. When you leave your house, go out as if to meet an important guest. Do not set before others what you yourself do not like. The essentials of good government are: a sufficiency of food, a sufficiency of arms, and the confidence of the people. If forced to give up one of these, give up arms; and if forced to give up two, give up food. Death has been the portion of all men from of old; but without the people's trust, nothing can endure. A tiger's or a leopard's skin might be a dog's or a sheep's when stripped of its hair. Hold fast to what is good and the people will be good. The virtue of the good man is as the wind; and that of the bad man, as the grass. When the wind blows, the grass must bend. Knowledge of man, that is wisdom. The superior man feels reserved in matters which he does not understand. Let the leader show rectitude in his personal character, and things will go well even without directions from him. Do not wish for speedy results nor trivial advantages; speedy results will not be far-reaching; trivial advantages will matter only in trivial affairs. The superior man will be agreeable even when he disagrees; the inferior man will be disagreeable even when he agrees. In a country of good government, the people speak out boldly and act boldly. Good men speak good words, but not all who speak good words are good. Good men are courageous, but not all courageous men are good. Confucianism is not a religion in the sense of man relating to the Almighty but is rather an ethical system teaching man how to get along with his fellow man. However, Confucius did make some comments on the supernatural which give insight into how he viewed life, death, heaven, etc. He once said, "Absorption in the study of the supernatural is most harmful" (Lionel Giles, Sayings of Confucius, Wisdom of the East Series, London: John Murray Publ., 1917, 11:16, 94). When asked about the subject of death, he had this to say, "Chi-lu asked how the spirits of the dead and the gods should be served, The master said, 'You are not able to serve man. How can you serve the spirits?" May I ask about death?' 'You do not understand even life. How can you understand death?"' (Confucius, The Analects, D. C. Lau, trans., London: Penguin Books, 1979, Book XI, 12). 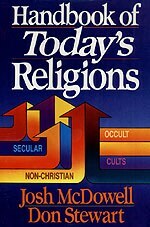 John B. Noss comments, "His position in matters of faith was this: whatever seemed contrary to common sense in popular tradition, and whatever did not serve any discoverable social purpose, he regarded coldly" (John B. Noss, Man's Religions, New York: MacMillan Company, 1969, P. 291). "The master said, 'At fifteen I set my heart on learning; at thirty I took my stand; at forty I came to be free from doubts; at fifty I understood the decree of heaven; at sixty my ear was attuned; at seventy I followed my heart's desire without overstepping the line"' (The Analects, 11:5). In each of these three great features of early Chinese religion-its sense of continuity with the ancestors, its sacrifice, and its augury -there was a common emphasis. The emphasis was on Heaven instead of Earth. To understand the total dimensions of Confucianism as a religion, it is important to see Confucius (a) shifting the emphasis from Heaven to Earth (b) without dropping Heaven out of the picture entirely (Huston Smith, op. cit., p. 189). The emphasis in Confucianism was on the earthly, not the heavenly; but heaven and its doings were assumed to be real rather than imaginary. Since Confucianism gradually assumed control over all of one's life, and it was the presupposition from which all action was decided, it necessarily permeated Chinese religious thought, belief and practice as well. History to date affords no clearer support for this thesis than the work of Confucius. For over two thousand years his teachings have profoundly affected a quarter of the population of this globe. Their advance reads like a success story of the spirit. During the Han Dynasty (206 B.C- A.D. 20), Confucianism became, in effect, China's state religion. In 130 B.C. it was made the basic discipline for the training of government officials, a pattern which continued in the main until the establishment of the Republic in 1912. In 59 A.D. sacrifices were ordered for Confucius in all urban schools, and in the seventh and eighth centuries temples were erected in every prefecture of the empire as shrines to him and his principal disciples. To the second half of the twelfth century his The Analects remained one of the classics. But in the Sung Dynasty it became not merely a school book but the school book, the basis of all education. In 1934 his birthday was proclaimed a national holiday (Ibid., p. 192). One thing that the Communist regime will never be able to do is to get Confucius out of China. Some say it has not been tried. Others contend there is no use trying. China's ... people know Confucius as well as America's millions know the Christ. We do not have a state religion, but we are predominantly Christian. China does not have a state religion, but it is predominantly Confucian (Marcus Bach, Major Religions of the World, Nashville: Abingdon, 1970, p. 8 1). The ethical system taught by Confucius has much to commend it, for virtue is something to desire highly However, the ethical philosophy Confucius espoused was one of self-effort, leaving no room or need for God. Confucius taught that man can do it all by himself if he only follows the way of the ancients, while Christianity teaches that man does not have the capacity to save himself but is in desperate need of a savior. Confucius also hinted that human nature was basically good. This thought was developed by later Confucian teachers and became a cardinal belief of Confucianism. The Bible, on the other hand, teaches that man is basically sinful and left to himself is completely incapable of performing ultimate good. Contrast what the Bible says about human nature and the need of a savior against Confucianism. "The heart is more deceitful than all else and is desperately sick; Who can understand it?" (Jeremiah 17:9, NASB). "For all have sinned and fall short of the glory of God" (Romans 3:23, NASB). "For by grace you have been saved through faith; and that not of yourselves, it is the gift of God: not as a result of works, that no one should boast" (Ephesians 2:8, 9, NASB). "He saved us, not on the basis of deeds which we have done in righteousness, but according to His mercy, by the washing of regeneration and renewing by the Holy Spirit" (Titus 3:5, NASB). Since Confucianism lacks any emphasis upon the supernatural, this religious system must be rejected. It must be remembered that Confucius taught an ethical philosophy that later germinated into a popular religion, though Confucius had no idea that his teachings would become the state religion in China. Nevertheless, Confucianism as a religious system is opposed to the teachings of Christianity and must be rejected summarily by Christians. Analects, The -One of the Four Books containing the sayings of Confucius. The Analects are considered the best source of determining the sayings and wisdom of Confucius. Ancestor Worship-the Chinese practice of worshipping the spirits of their dead relatives in order to appease them from causing trouble with the living. Cheng Ming-The concept of rectification of names, meaning that one should act in accordance with his position in life (king as a king, father as a father, etc.). Chun-tzu --"Man-at-his best," the superior man. The type of man, according to Confucius, who could transform society into a peaceful state. Confucius -"Kung the Master," the title for Chiu King, the founder of Confucianism. Feng Shui -The Chinese name for geomancy, a branch of divination to determine appropriate sights for houses or graves. Filial Piety-The Chinese practice of loyalty and devotion by the younger members of the family to their elders. Five Classics-Along with the Four Books, the Five Classics are the authoritative writings of Confucianism. The Five Classics were collected and edited by Confucius. They include: The Book of Changes, The Book of Annals, The Book of Poetry The Book of Ceremonies, and The Annals of Spring and Autumn. Four Books -The Four Books are a collection of the teachings and sayings of Confucius. They include: The Analects, The Great Learning, The Doctrine of the Mean, The Book of Mencius. Jen -The golden rule in Confucianism, "Do not do to others what you would not have them do to you." Li-The concept denoting the ideal standard of conduct. Mandate of Heaven-The authorization of power to Chinese emperors and kings believed traditionally to issue from heaven. Mencius -A later disciple of Confucius who is credited with developing and systematizing Confucian thought. Te-The virtuous power needed to properly rule the people. Wen-The arts of peace, which include poetry, music, and art. Bach, Marcus, Major Religions of the World, Nashville: Abingdon, 1979. Confucius, The Analects, D. C. Lau, trans., London: Penguin Books, 1979. Gaer, Joseph, What the Great Religions Believe, New York: Dodd, Mead, and Company, 1963. Giles, Lionel, Sayings of Confucius, Wisdom of the East Series, London: John Murray Publ., 1917. Mueller, Max, ed., Sacred Books of the East, Fifty Volumes, London: Krishna Press, 1879-1910. Smith, Huston, The Religions of Man, New York: Harper and Row, 1965. Ware, James R., trans., The Sayings of Confucius, New York: New American Library 1955. Yutang, Lin, The Wisdom of Confucius, New York: Random House, 1938.